In the morning we took the shuttle boat from the hotel to St. Mark's Square (San Marco). And from there began a long walk along the canals in the area. 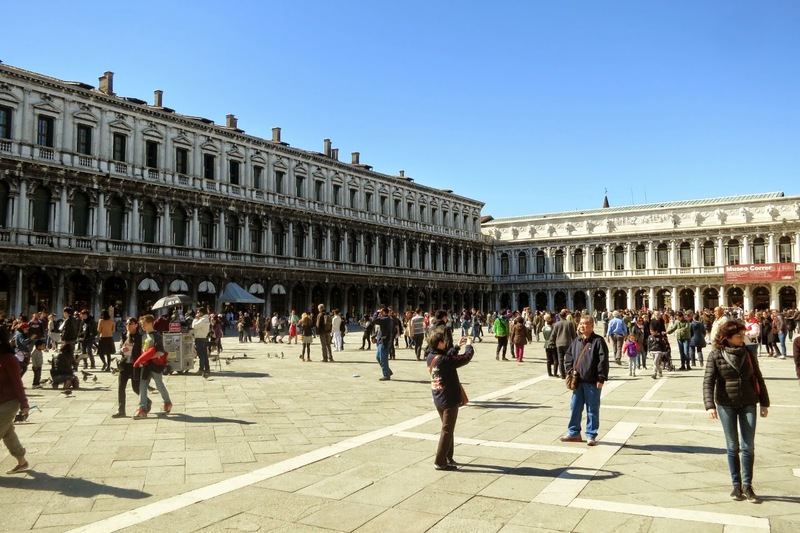 First we went over the Marco square and saw the marvelous buildings that surround the large space - Markus Tower, St. Mark's Basilica, Museere and Dogma Palace. 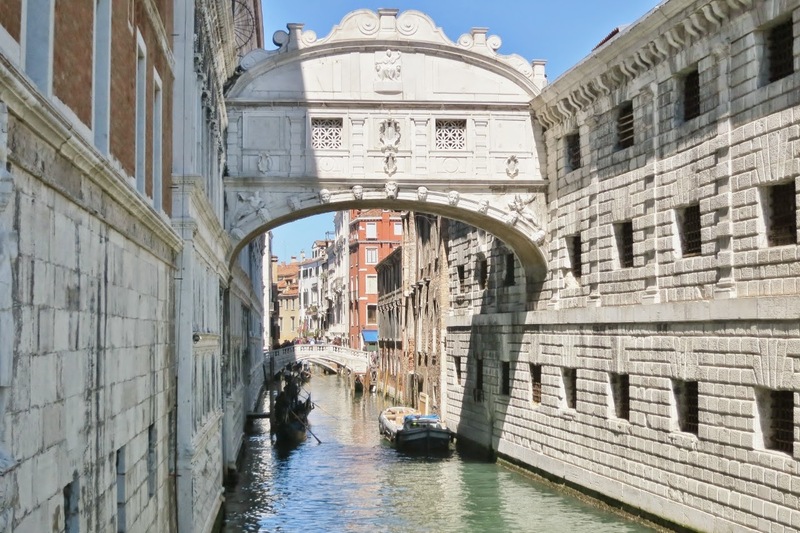 Then we walked past 'Ponte dei Sospiri' leading across the canal from Dogme Palace to The Prison - along 'Riva degli Schiavoni' to Arsenal. We stopped for a light lunch before we went inside the city and the San Marco district. Unbelievable that go in a relatively large city, and did not see a single car. Everything is done by boat, goods brought into city by boat, police and ambulance boats - ratchet boats, water taxis and water buses (vaporetto) and so on. We passed a lot of beautiful palaces and churches (photo by Maria Formosa Church). We went over the Rialto Bridge, one of the three bridges over the Grand Canal. Late in the afternoon we got a latte at a cafe before we ventured back towards the hotel. At 6:30 pm we took the hotel shuttle boat back to the Marriott hotel. 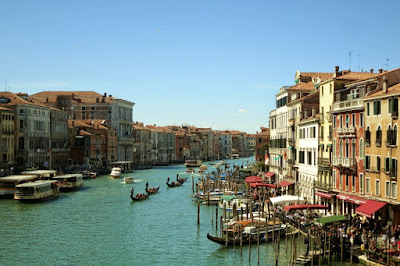 I must admit that Venice was a greater experience than expected. An incredibly beautiful city with many beautiful palaces and churches. And no cars. A special experience. JW Marriott Venice Resort and Spa.